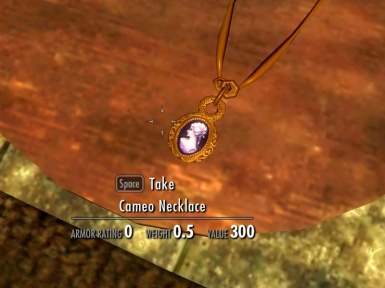 Adds unenchanted versions of many amulets to jewelry vendors, and also adds a variety of new necklaces including several colors of Cameo necklaces. No permission is required for you to use the items I created in your own modding work, but please give credit as appropriate. UNDER NO CIRCUMSTANCES MAY YOU USE ANY PARTS OF THIS MOD IN ANY WORK THAT IS SOLD IN ANY FORM. 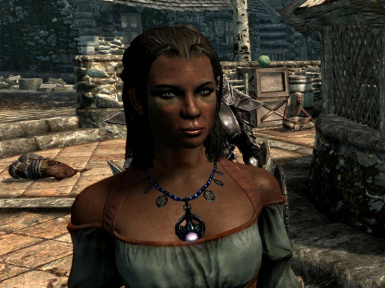 This mod was created by Deandra at the UESP (username Merilia at TESNexus since the name Deandra was taken). 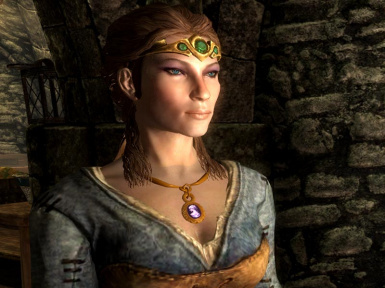 There are many attractively styled amulets in the game, but because of their weak enchantments, it is usually not helpful to equip them. 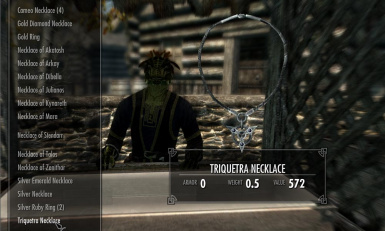 This mod adds unenchanted versions of many amulets to jewelry vendors across Skyrim. 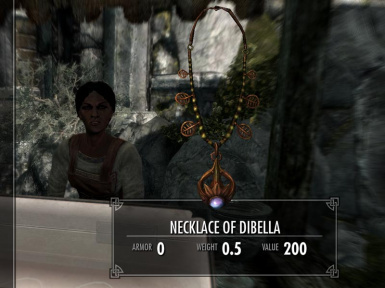 I also added new cameo necklaces and a darker version of the Necklace of Dibella. 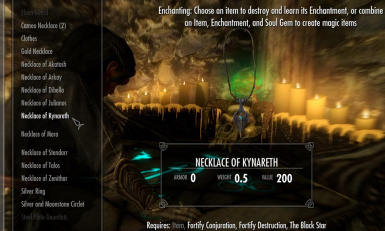 This allows players to enchant their own amulets while choosing their own style. 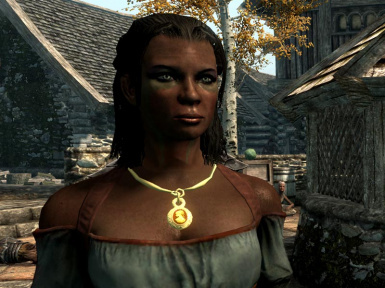 Madesi at the Riften Plaza will sell one of each necklace. Other vendors who sell jewelry may also offer some of these items. If you're doing this manually, extract all files into Skyrim's Data folder (for me, that's under C:\Program Files (x86)\Steam\steamapps\common\skyrim\Data). If you already have existing meshes and textures folders, click Yes or Yes to All when it prompts you whether you want to copy the files into them. 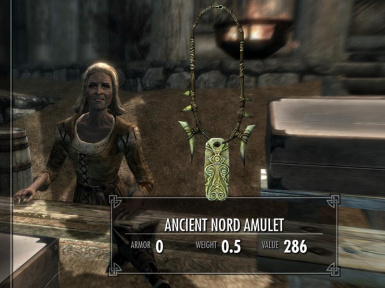 Once you unpack the files, verify that the mod is activated by selecting "Data Files" from the loader screen, and ensuring that "AdditionalAmulets.esp" is checked. 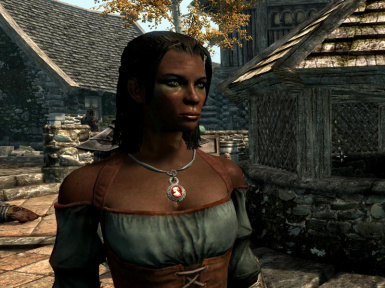 This mod was created by Deandra at the UESP (username Merilia at TESNexus since the name Deandra was taken). No permission is required for you to use the items I created in your own modding work, but please give credit as appropriate.